The Porsche tuner TECHART from Leonberg offers a top-quality racing feel. It can be seen, heard and felt. Whether aerodynamic rear wings, powerful driving dynamics systems or stylish leather interior design - TECHART makes it possible. Fantastic technical optimisation, a glamorous exterior and thrilling aerodynamics. 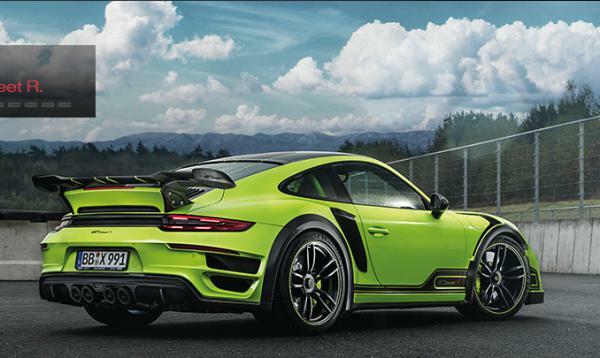 TECHART turns every Porsche model into a true diamond of a vehicle, visually, acoustically and haptically. Someone who has once sat in a vehicle upgraded by TECHART knows, what kind of an exciting experience this is. We are using TECHART's perfect tuning to ensure that your Porsche meets the highest demands - during downtime just as much as during driving. It does not matter at all, whether you would like to enhance performance, have special design requirements or think it important to install a unique interior upgrade.